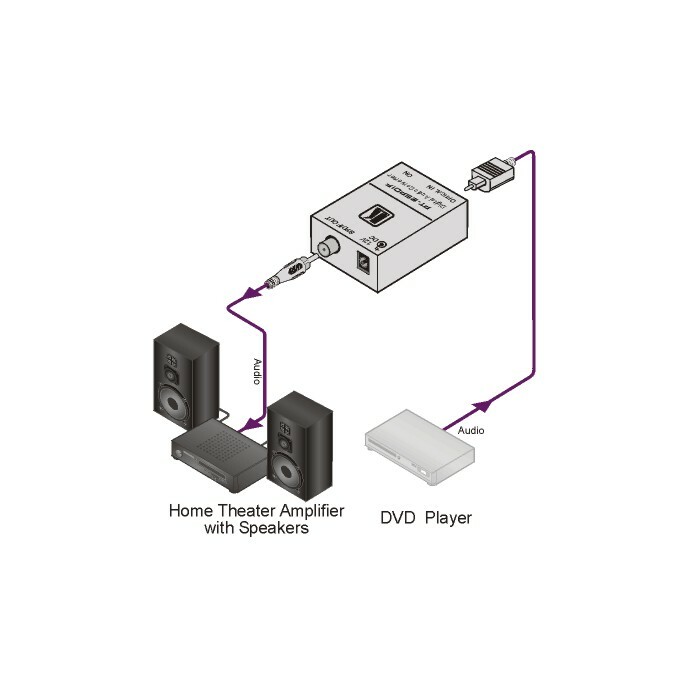 The PT-2SPDIF is a format converter for TOSLINK digital audio signals. It converts a TOSLINK optical signal to a S/PDIF signal. TOSLINK Input - TOSLINK Connector. S/PDIF Output - RCA Connector. Compact Size - Part of the Kramer TOOLS family of compact, high quality and cost effective solutions.